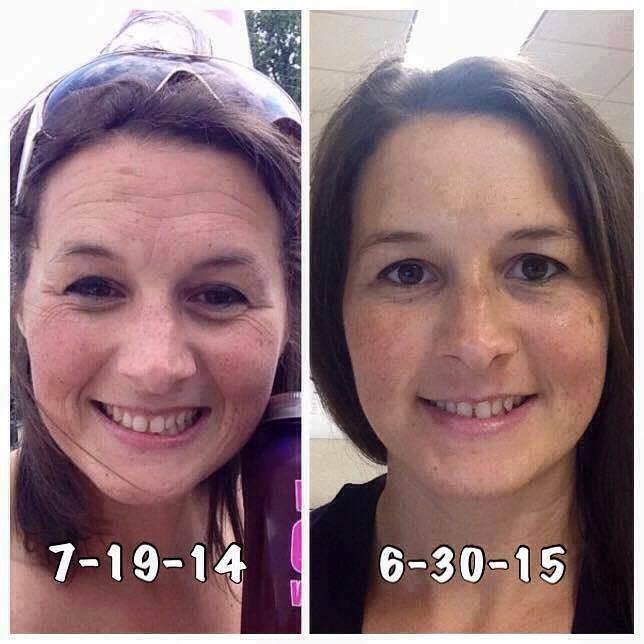 So, now that you've learned a little bit about what R+F is about, let's get into the products! 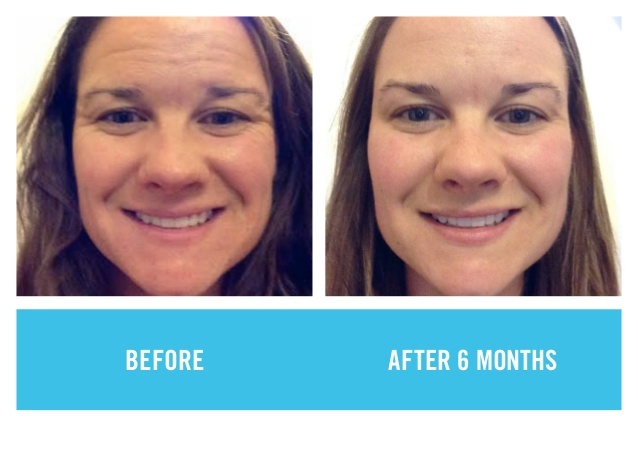 As I said, each regimen is designed to target a specific skin-related concern (aging skin, acne, sensitive skin and sun damage). All of the products are based on the Multi-Med Therapy philosophy of combining the right ingredients, in the right formulations, and using them in the right way to achieve REAL BENEFITS. The first regimen I want to highlight is a customer favorite: REDEFINE! Why is it a favorite? 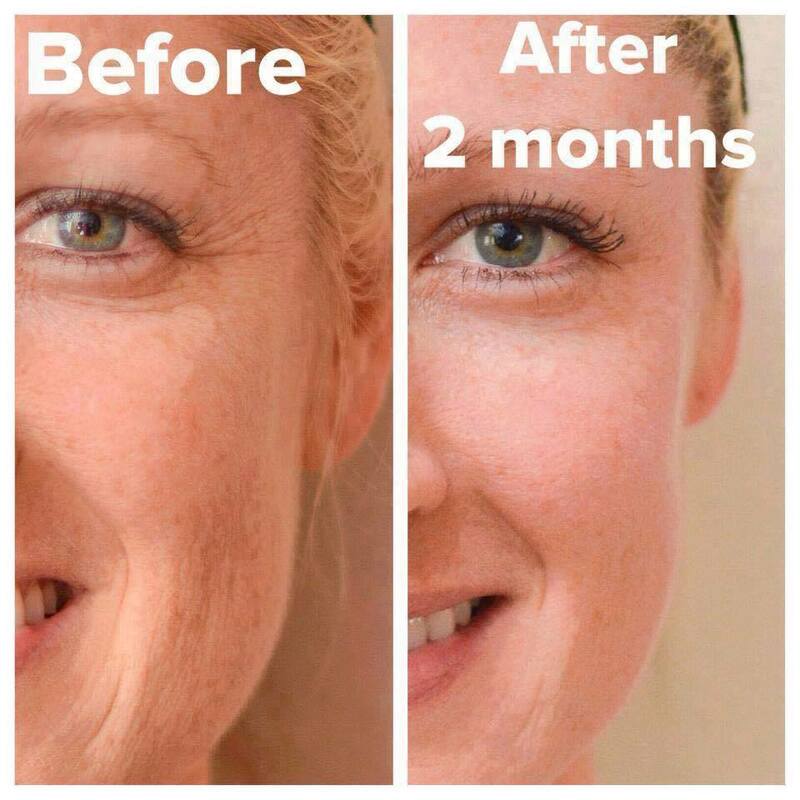 Because everyone is aging, and this regimen helps turn back time. 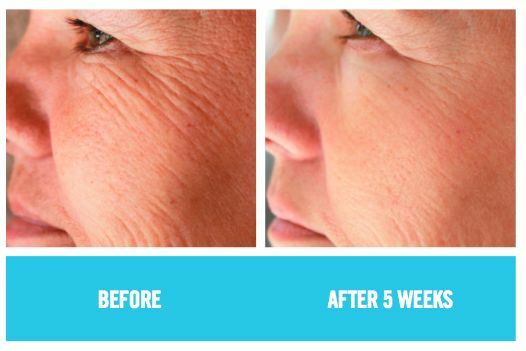 REDEFINE is formulated to help defend against and reduce the visible signs of aging for noticeably firmer, smoother, flawless-looking skin. It comes with four full-size products: Daily Cleansing Mask, Pore Minimizing Toner, Triple Defense Treatment SPF 30, and Overnight Restorative Cream. The cleanser is an exfoliating kaolin clay-based mask that you gently message with wet fingers into dry skin, then leave on for two minutes or so until it dries, and rinse off. Step two is the toner, which tightens and minimizes pores and, and as step three, you use the SPF in the morning, and overnight cream in the evening, both of which are SUPER hydrating and light on the skin. 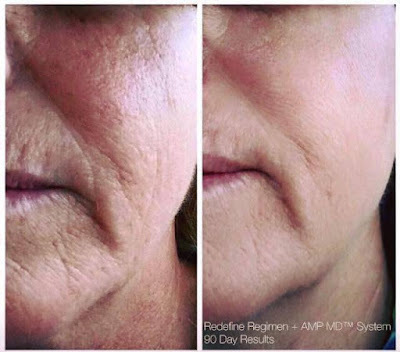 REDEFINE works amazingly well with our two tools, the AMP MD Roller and our Macro Exfoliator (more info to come on those in a separate post). If you're interested in pricing, let me know! I can get you 10% off and free shipping. Enjoy more of these amazing results! What do you think?! Amazing, right? 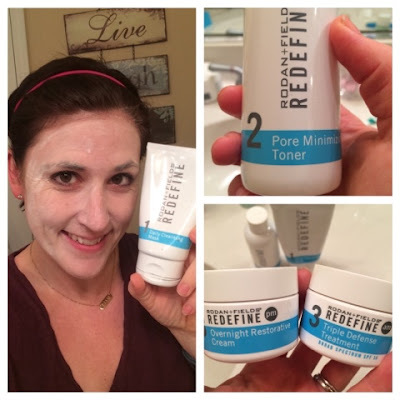 If you're not sure what regimen would be right for you, take 1 minute to use our solutions tool. Email yourself the results and I'll get a copy and can help customize a regimen just for you!